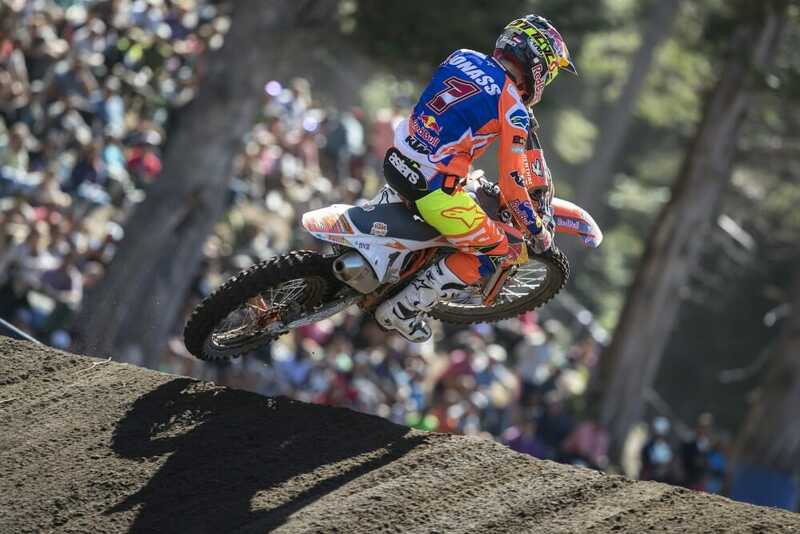 2018 MXGP Argentina Results – Defending MXGP Champion Antonio Cairoli led every lap of the opening round of the FIM Motocross World Championship in Neuquen, Argentina, February 4, except one–the important one–the very last lap of the day. Cairoli (Red Bull KTM) scored a wire-to-wire victory in the first moto, successfully holding off a charging Jeffrey Herlings (Red Bull KTM) at the end. In moto two, Cairoli again got out in front off the start and led the pack for nearly the entire race before again getting attacked by Herlings. On the final lap, Herlings, who started the moto off in fifth, made the pass on his teammate to take the moto win and overall victory. Cairoli’s 1-2 gave him second overall. Third overall went to Belgium’s Clement Desalle (Monster Energy Kawasaki) who went 3-3 on the day. Belgian Jeremy Van Horebeek (Monster Energy Yamaha) went 5-4 for fourth overall, and Frenchman Romain Febvre (Monster Energy Yamaha) went 4-5 to round out the top five overall. 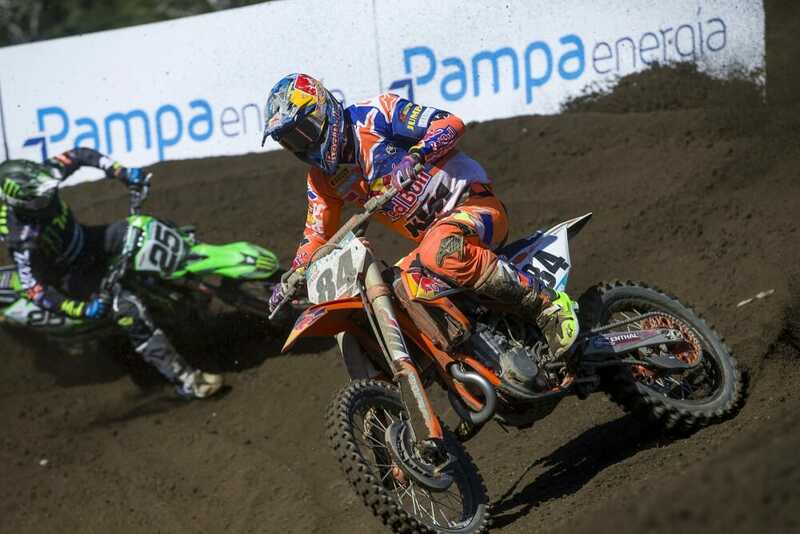 Latvia’s Pauls Jonass made it a Red Bull KTM sweep by winning the MX2 class. The number-one plate holder won both motos. Denmark’s Thomas Kjer Olsen (Husqvarna, 3-2), Australian Hunter Lawrence (Honda, 2-6), Great Britain’s Ben Watson (Yamaha, 4-4) and Australia’s Jed Beaton (Kawasaki, 7-8) completed the top five overall. American Darian Sanayei (Kawasaki) finished out the day in eight place despite dropping out of the first moto while running up front for a while. He came back and finished third in the second moto. Fellow American Thomas Covington (Husqvarna) went 10-18 for 15th overall. Click here for more motocross and supercross news and results.